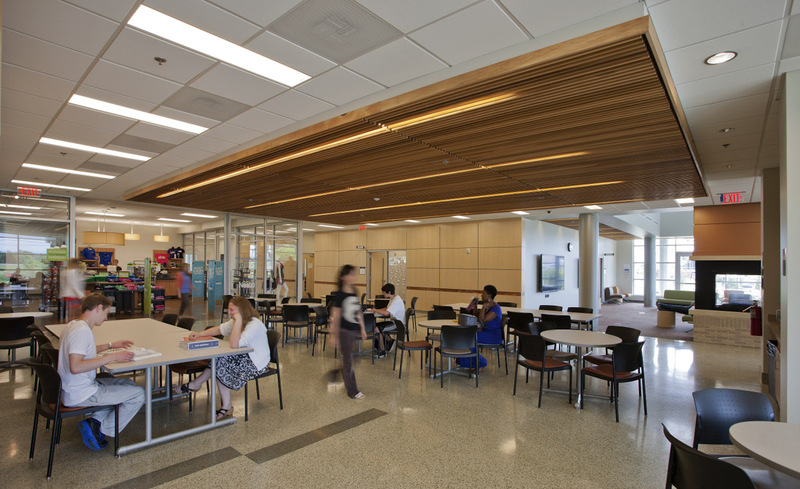 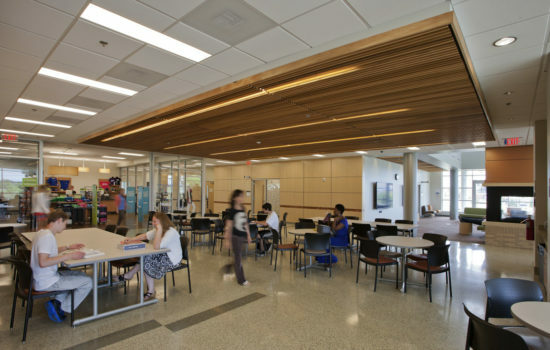 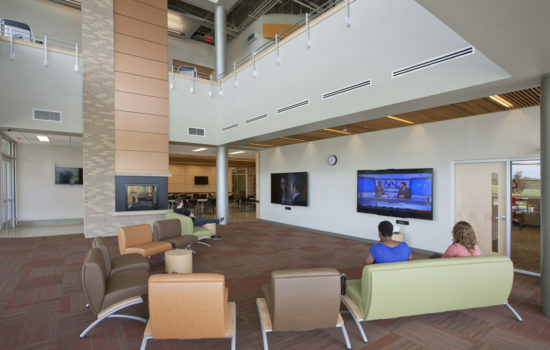 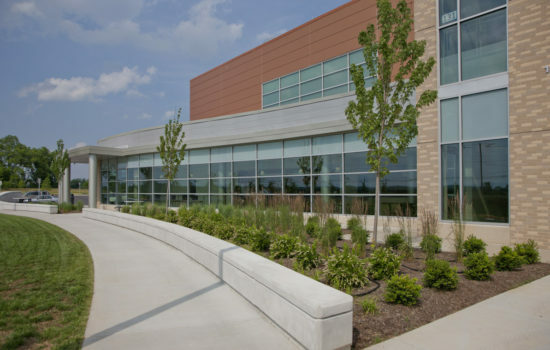 Designed in conjunction with a new campus master plan, the Student Union Building at Lord Fairfax Community College re-centers the campus, connecting existing buildings to future development. As the college evolves from a commuter campus to an amenity-rich hub for student life, the college partnered with the privately-funded LFCC Foundation to provide an inviting, attractive “home base” for students. The building features a variety of student lounge spaces, including quiet lounge areas, gaming areas, and open dining space. 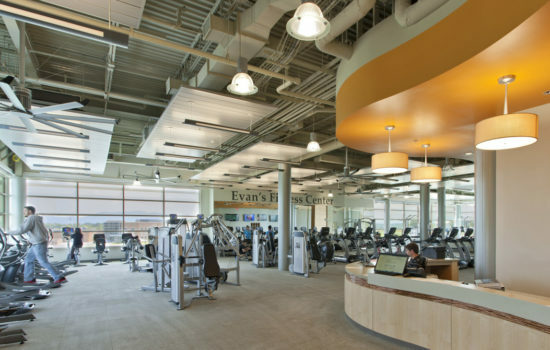 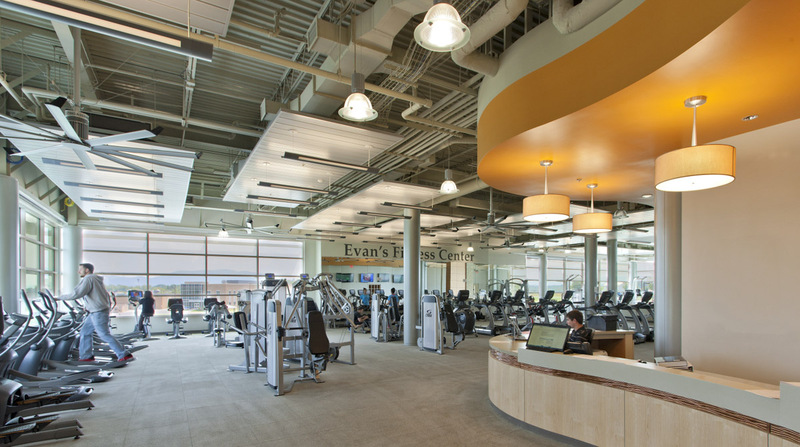 Additional amenities include a second floor fitness center and fitness labs, food service venues and a bookstore, classrooms, and offices for student life. 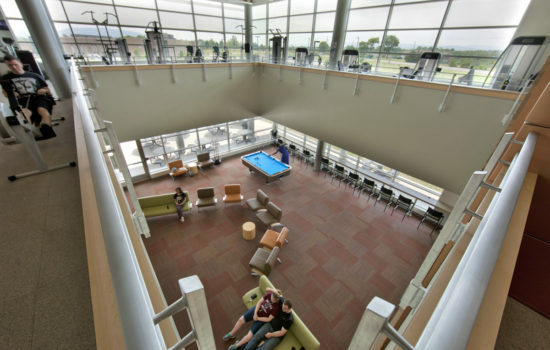 The Student Union Building is a catalyst within the maturing campus, bringing connectivity and pedestrian-friendliness while recognizing the importance of highway access and visual presence. 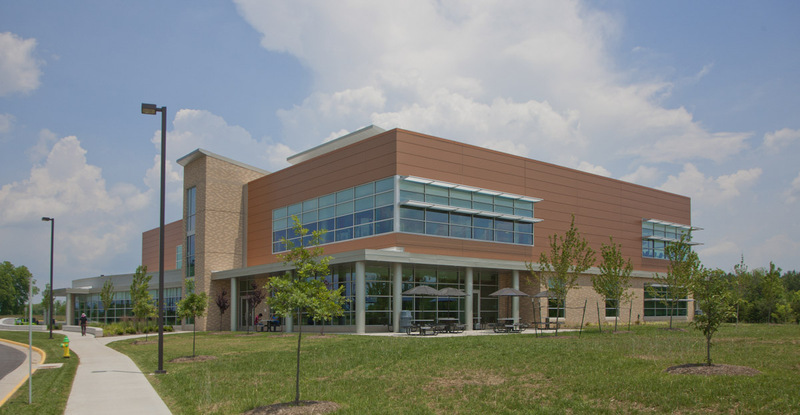 The building provides visitors with prominent views to the surrounding rural landscape, punctuated by the Blue Ridge Mountains. 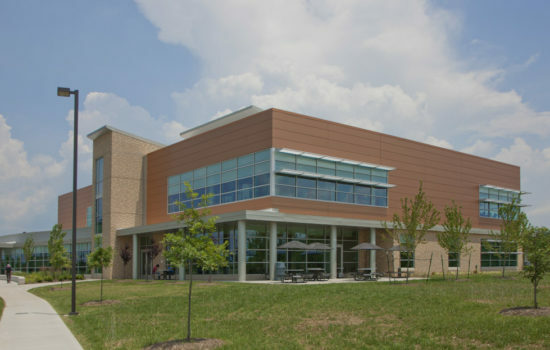 This connection to the surrounding iconic natural features defines the region and the LFCC campus.